Two views of the stone-arched overbridge in the village of Coolaney in county Sligo. There was a station a little to the south, known as Leyny (still intact). 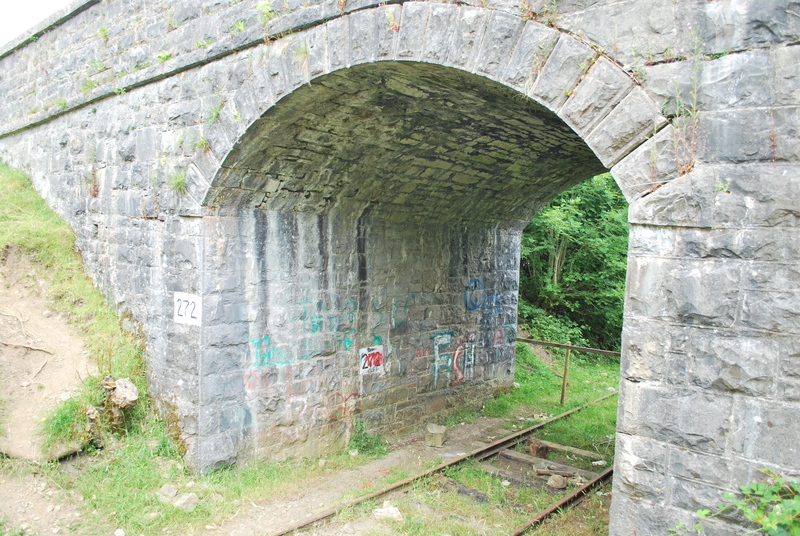 Like other parts of the ‘Burma Road’, the bridge and station were built c. 1895, and abandoned c. 1975. Unusually the track remains in situ. 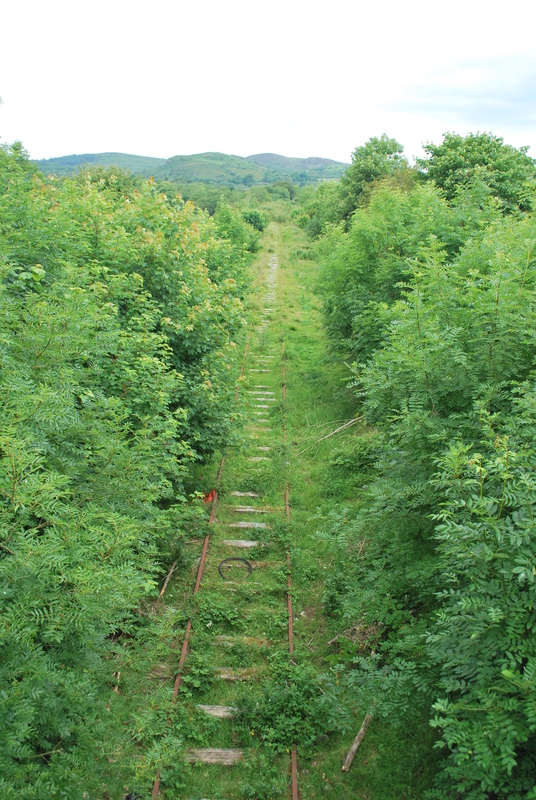 A few miles to the east is the active Dublin-Sligo railway. Here is the map link.